Eugene “Gene” Michael Pfeifer, Esq. died June 10, 2018 of pancreatic cancer at his home in Alexandria, VA in the company of his loving family. Born on May 17, 1940, Gene was predeceased by his second wife of 31 years Jill Bothwell Pfeifer, stepson Thomas Bothwell, sisters Anne and Teresa. He is survived by his children Chris Pfeifer (Daniela Spigai) and Laura Pfeifer (Edgar Fields), stepdaughter Maria Bothwell (Jeffery Kline), daughter-in-law Laurie Bothwell (Keith Burgess) and grandchildren Marc Blanch-Baldwin, Amelia Bothwell, Max Kline, Lily and Zane Pfeifer, Jackie Tilley, and a host of grieving family and friends. 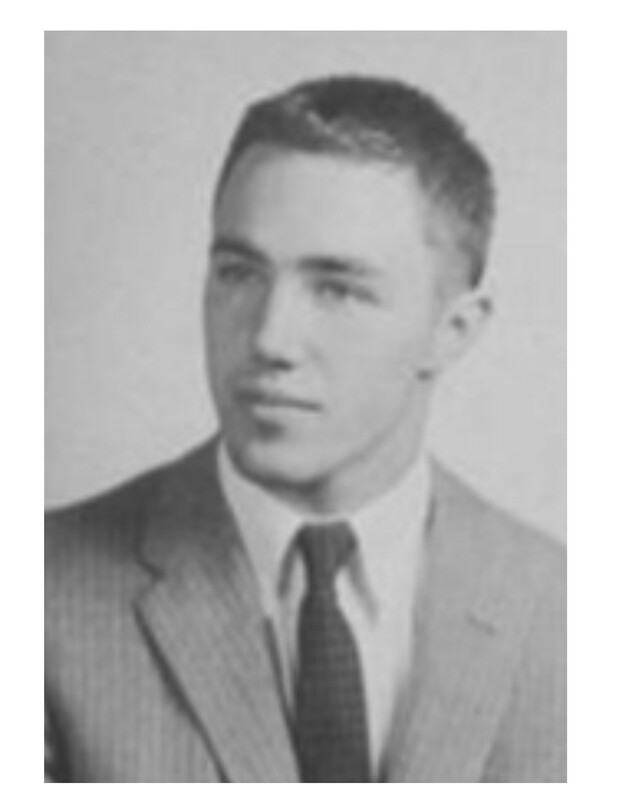 Gene was a graduate of Williston Academy 1958, Brown University 1962, and then moved to Alexandria, VA to attend Georgetown University Law Center, graduating in 1967. He enlisted in the National Guard while at law school and served 1962-64. While at Georgetown, he clerked for the first African American judge in DC and was an ardent civil rights activist, attending many marches and demonstrations in DC in the 1960’s. His children are inspired by his sense of civic duty. Gene was well and widely read. He always had a book in hand. His penetrating intellect made him a formidable conversationalist enhanced by a dry sense of humor. A marvelous raconteur and bon vivant, Gene enjoyed travel; when his children were young, Gene and his first wife Debbie Baldwin pulled their kids out of school for a year-long road trip across The United States and Mexico in a van he had converted. Gene’s children, Chris and Laura, forever grateful, remember this as their most profound education and a life changing experience. He was quite the adventurer. His love of sailing started as a child growing up in New England. Summers on the water at a young age seeded his passion for sailing that lives on in his grandson Max. On land, he loved to bike. He rode 100 miles in 2014 and 2015 for Bike to the Beach for Autism. Sports were a big part of his life. He was a gymnast, played hockey for Brown, and skied every winter. Gene loved his family and in his last year, he did not shy away from telling his children how proud he was of them and his grandchildren. He left comforted by knowing he had passed on his values, morals, and integrity to his children and grandchildren. Generous of spirit, Gene was a wonderful grandfather and could often be found undertaking projects with the grandchildren including building a playhouse and tubing behind the Grady White in Easton. Gene had a remarkable legal career rooted first at the Food and Drug Administration. He was a law partner at King & Spalding in Washington DC and prior to that was a law partner at Burditt, Bowles & Radzius. Among his many accomplishments, Gene was a major participant in the development of the Drug Price Competition and Patent Term Restoration Act of 1984. He provided regulatory advice and representation on a wide variety of FDA, FTC, and DEA regulated activities, including product approval and compliance issues. Prior to his law firm work, Gene served for a year in the General Counsel’s office of the Federal Trade Commission, where he represented the FTC in Federal Court to enjoin violations of the Federal Trade Commission Act. He had served ten years in the Chief Counsel’s Office at the FDA as Associate Chief Counsel for Enforcement, Associate Chief Counsel for Drugs, and Deputy Chief Counsel for Regulations and Hearings. During his tenure at the FDA, he was the FDA’s lead litigator and Appellate Court advocate, and he briefed six major FDA cases before the Supreme Court. He was an active volunteer professionally and personally, serving on the board of Elite Pharmaceuticals, and as volunteer at Habitat for Humanity in Easton, MD.